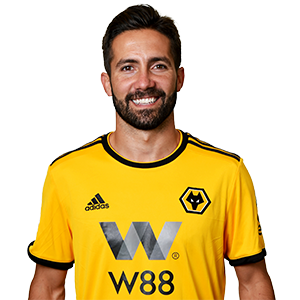 Wolves signed experienced Portuguese midfielder Joao Moutinho on a two-year deal ahead of their return to the Premier League. Moutinho is the third highest appearance maker for Portugal with 113 caps and has won major honours at both club and international level during his career. The midfielder played his part in Portugal’s 2016 European Championship success, featuring in all but one of their games including the final against France. It was at Sporting Lisbon where Moutinho started out, making his debut aged 17 in 2005 and starting in a UEFA Cup final just months later. Developing from a promising star to the club’s second youngest ever captain, Moutinho played more than 150 appearances, including numerous in the Champions League. At Porto, the midfielder lifted three Primeira Liga titles and the Europa League during a three-year period at Estadio do Dragao. The titles continued at Monaco as Moutinho played more than 200 games and lifted the Ligue 1 title in 2017. Moutinho moved to Molineux on the back of a 2018 World Cup campaign with Portugal, where he made three appearances alongside Rui Patricio. His first goal in a Wolves shirt came at Old Trafford when his stunning strike earned a point against Manchester United.